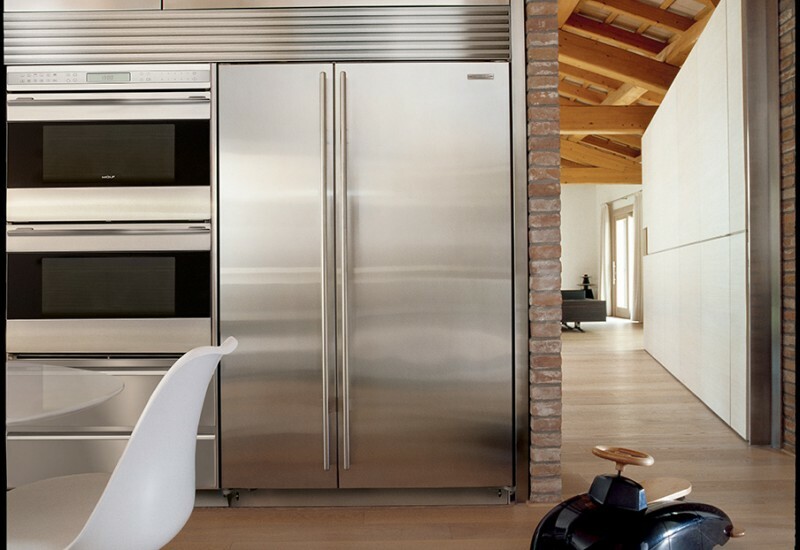 Redesigned with internal ice and water and increased energy efficiency. The Sub-Zero Built in Side by Side Refrigerator/Freezer is so energy efficient it runs on less power than a 60 watt light bulb. 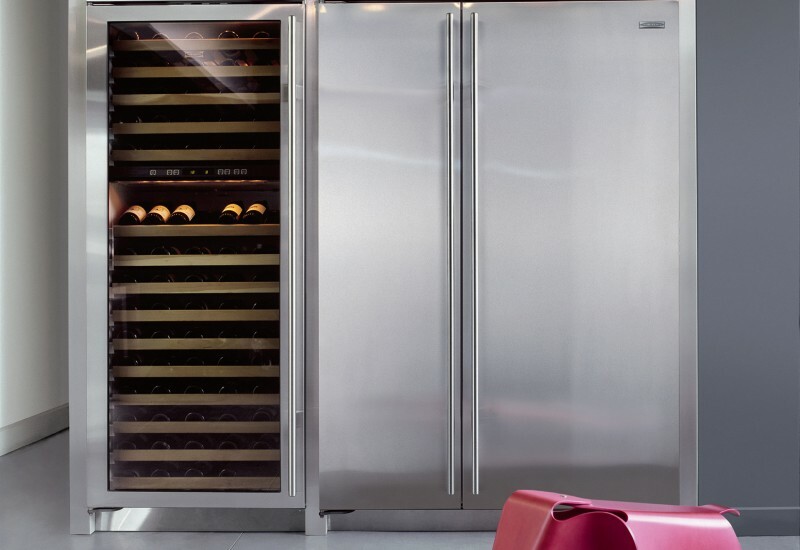 An industry first, Sub-Zero has reconfigured the Built in Side by Side Refrigerator/Freezer to provide chilled water and ice inside the refrigerator. The ICBBI-48SID product is a perfect match of convenience and aesthetics, keeping water and ice at your fingertips without having to sacrifice the clean appearance that has made Sub-Zero a leader in timeless built-in design. The redesign has also included improved energy efficiency. The Built in Side by Side 48SID now has variable speed compressors and vacuum sealed panels within its insulation. This makes this model 20% more energy efficient than the next best built in refrigerator and so energy efficient it runs on less power than a 60 watt light bulb. Overlay and stainless steel models are both available. The new flush inset overlay design installation cleverly allows the unit to sit flush with surrounding cabinetry. 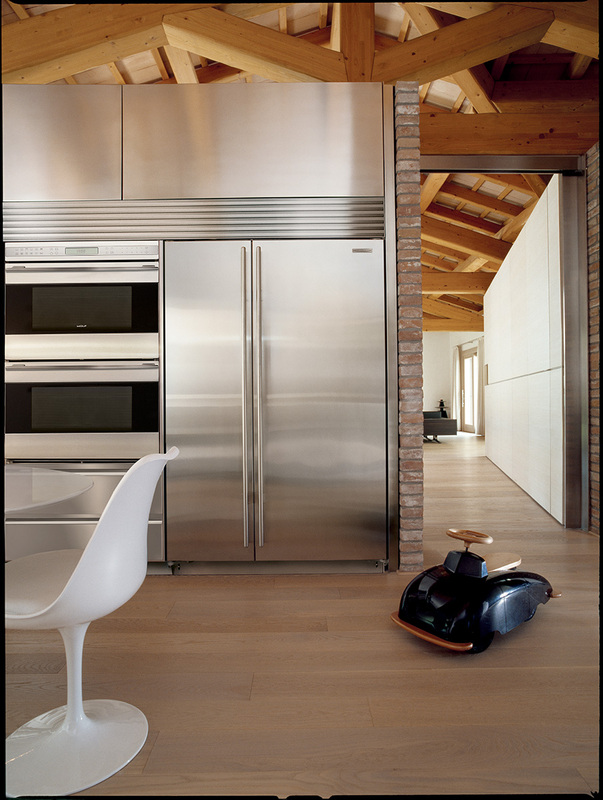 Choose from either a stainless steel finish or apply your own choice of custom panel to blend seamlessly with adjacent decor. 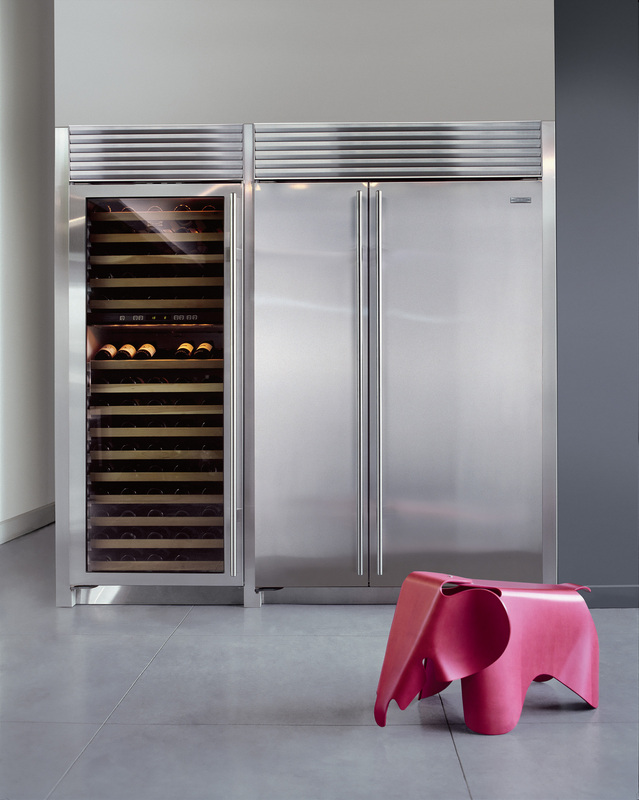 The classic stainless steel option complete with industrial chic louvered grille can be built-in or just add official Sub-Zero stainless steel side panels for a free-standing look. Compliant with stringent EU Energy Standards. • Compliant with Restriction of Hazardous Substances (RoHS) on all products sold internationally. • Our manufacturing facilities are categorized as “Small Quantity Generator” by the EPA. • Sub-Zero has significantly reduced Volatile Organic Compound (VOC) emissions at its manufacturing facilities. • All Sub-Zero and Wolf facilities comply with EPA and state air emission standards.